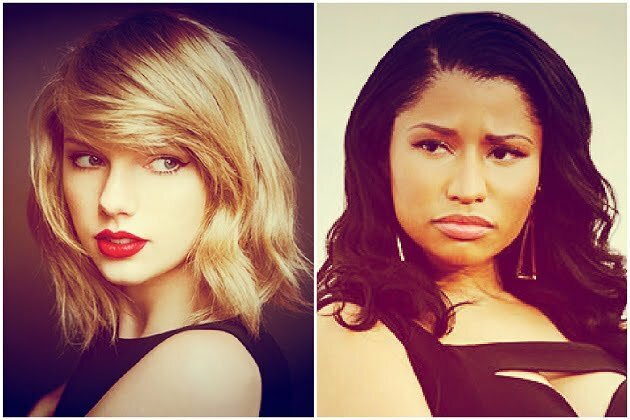 Taylor Swift has finally back down and apologize to Nicki Minaj for calling her out on Twitter. The Young Money rapper went on a Twitter rant about the MTV Video Music Awards snubbing her “Anaconda” video for Video of the Year. Swift did got a lot of bashing from some quarter of mainstream media and some big name celebrities. She finally bow out of her stance and issued on apology via Twitter to Nicki. “I thought I was being called out. I missed the point, I misunderstood, then misspoke. I’m sorry, Nicki,” she wrote on her Twitter timeline. Nicki Minaj accepted her apology and the entire pointless beef was quashed. 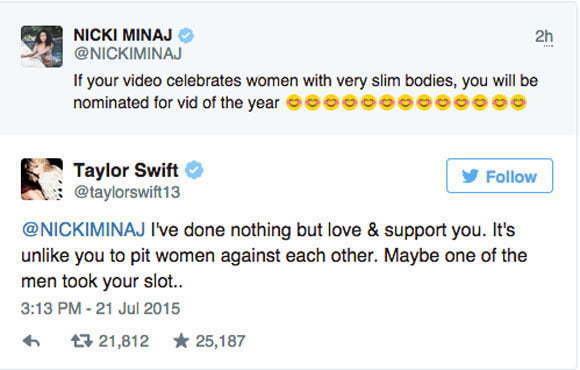 Nicki Minaj is such an idiot for fanning the flames of discrimination and acting like she’s for fat women.